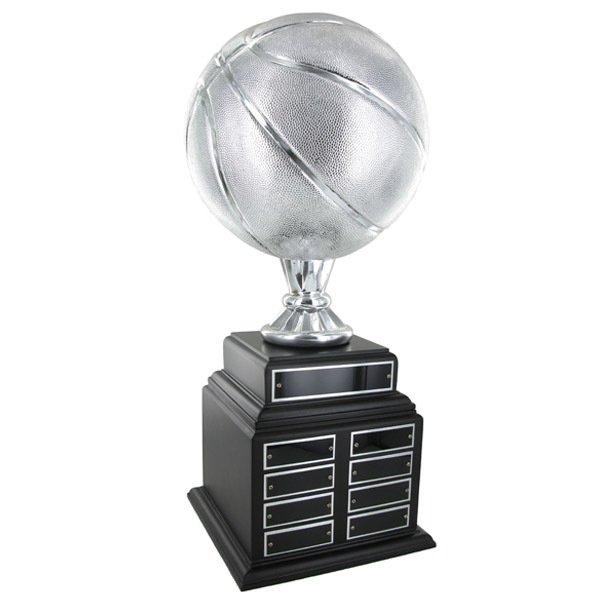 Product Description: 20 inch perpetual basketball trophy with 9 inch diameter silver ball mounted on the black wood base. Comes with 1 header and 8 smaller black screened plates. 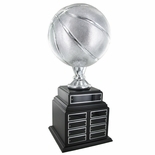 Engraving is available for text only.